This May will mark the 9th annual Head On Photography Festival and to kick off proceedings they will host an opening night launch with prizes, live music, photography and some very special guests. It's an esteemed evening for anyone in the photography world, as it announces the winners of the Head On Photo Awards, Australia’s most prestigious photography competition. 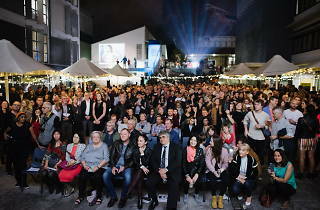 Made up of four categories (portrait, mobile, student and landscape) the evening will celebrate excellence in photography with $60,000 worth of prizes from Fujifilm, Olympus and Sony. Before and after the awards there will be live performances, plus photography slideshows. Physical theatre outfit Legs On The Wall will be on site while artist Emma Hack will be doing live body painting (you may remember her work from Gotye’s much loved 'Somebody That I Used to Know' film clip). You can also get your hands on gear from from Fujifilm, Olympus and Sony, with each dishing out insightful camera demos. The Time Out fun doctors will also be on hand to give you IRL recommendations for Sydney good times. 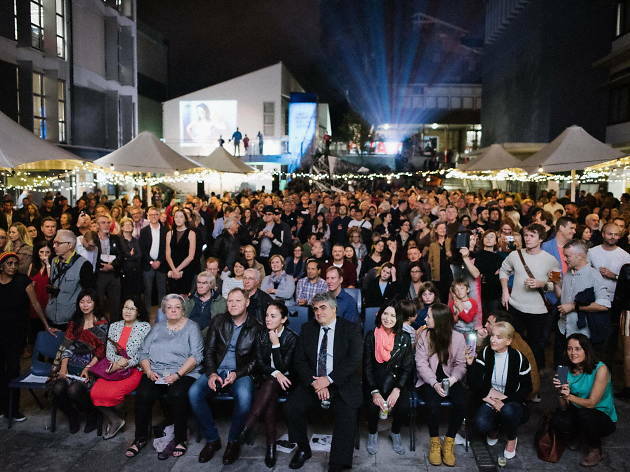 A prestigious round of special guests will be in attendance including arts minister Don Harwin, Sydney’s Lord Mayor Clover Moore and ABC’s Robbie Buck alongside local and international photo artists and industry pros. It's also free to attend, so whether you're a newbie to being behind the lens, a seasoned shutterbug or you just appreciate beautiful images, head down to the UNSW Art and Design campus to join in on the festivities.